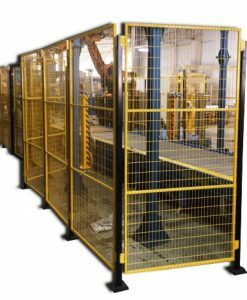 -After the products, coming from the line, are rotated according to their array, they are pushed off and taken to sorting station. 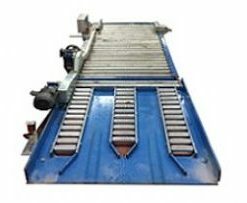 -The products reaching at sorting station are transferred to the layer preparation station. 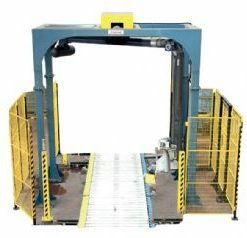 -The products that become ready as layer form at the preparing station are taken to layer transfer station..
-Layer transfer istasyonundaki ürünler asansör veya kartezyen sistemler ile paletin üzerine bırakılır. 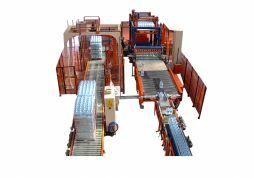 -When creation of the layer is complete, a cardboard is interlaid by a separator robot. -Products are placed on the intermediate board again, and the loop continues until they reach the desired layer level. 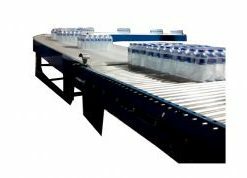 -Once it reaches the desired layer, filled up pallet is ejected from the line..
-After the pallet ejected, the new pallet in pallet magazine is supplied to the line automatically.